Poppies are kind of overlooked, aren’t they? Especially living in California… they are seen everywhere when in season (our state flower!). Art and paintings of poppies have been overdone and often times scream outdated and cheesy. 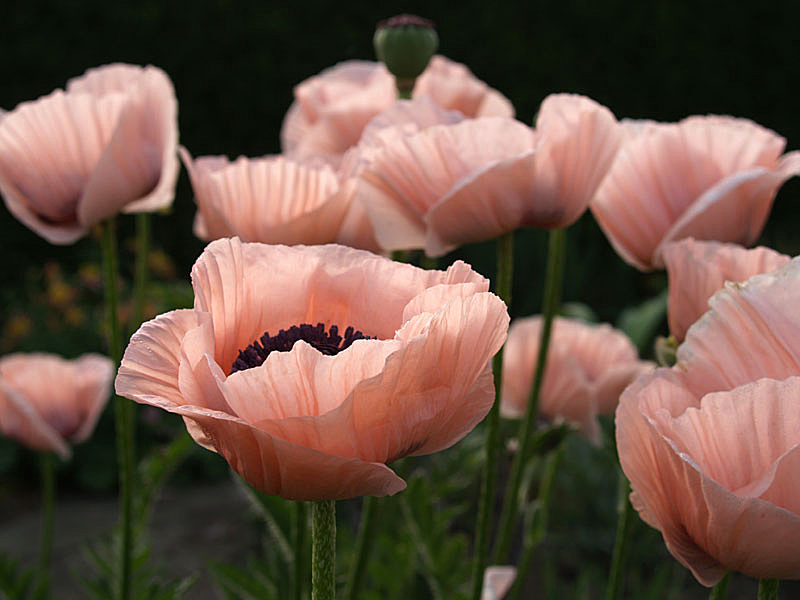 Recently I took a closer look at poppies and couldn’t get over how lovely they were, especially in bunches of pretty pastel colors, just bobbing happily in the wind with their tall skinny stems. The most common color for poppies are red and orange/yellow, but I love them mixed! Their buds are pretty unique too… well, they are pretty ugly and you wouldn’t believe something that weird blossoms into such a lovely crepe flower. There are so many varieties of poppies, but their simplistic beauty stays constant. Photo credits – Images 1 & 2 from Nino & Marin Hellewell via Pixdaus. This entry was posted on Tuesday, February 23rd, 2010 at 3:43 am	and tagged with Poppies and posted in Uncategorized. You can follow any responses to this entry through the RSS 2.0 feed. 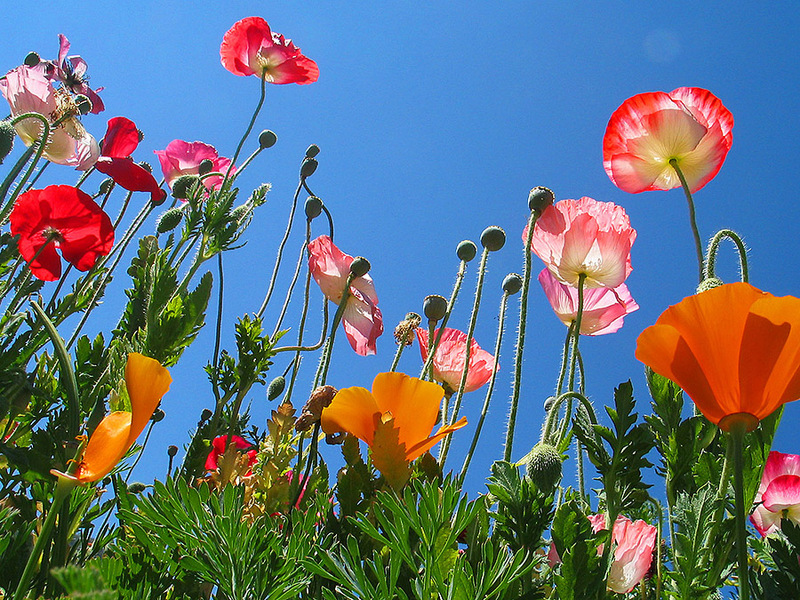 Wow, I am so envious of having poppies as a state flower – I just love them. So pretty. Hi Mai! Yay, your new blog is up and running. Just the art, not the flowers themselves!